We have been lucky to find the best Mini DisplayPort to DisplayPort cable that features 4K support, high-quality connector and cable and durable. 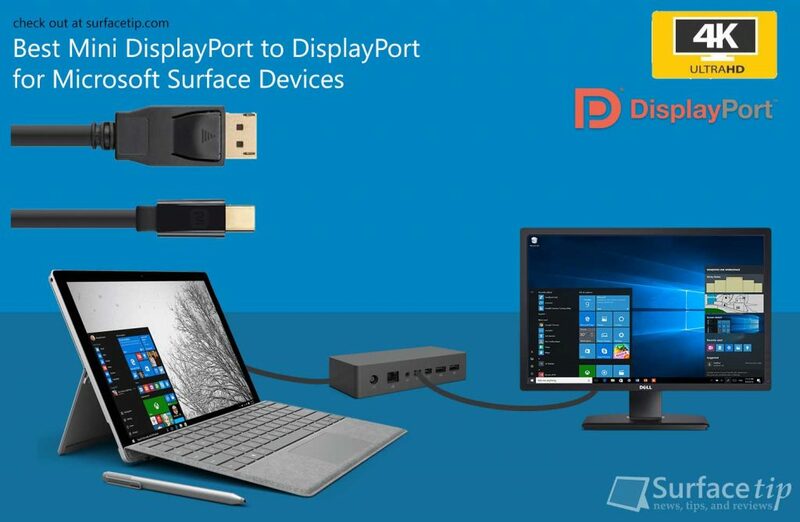 Every Microsoft devices including Surface Pro series, Surface 3, Surface Book and Surface Dock are using Mini DisplayPort for connecting to the external display. 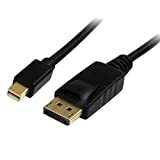 DisplayPort technology is a current ideal for the professional computer system including workstation and gaming. Furthermore, it delivers more high-performance features than any other digital interface. It also designed to replace older standards like DVI and VGA. Hence, It opens up new possibilities in computing, digital displays, and consumer electronics. As a result, it’s the future standard and it’s available today. Not all DisplayPort cable can give you the full power of DisplayPort technology. High-quality Mini DisplayPort to DisplayPort cable will bring you a 4K (3840×2160) Ultra HD resolution at 60 Hz frequency. Below is an overview of the best mini DisplayPort to DisplayPort cables to help you make the right choice for your Microsoft Surface devices. 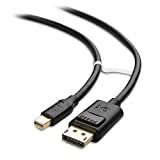 First of all, Microsoft Surface team recommend this Cable Matters gold plated mini DisplayPort to DisplayPort cable for use with the Surface devices especially the Surface Dock. This cable allows your Surface devices to output 4K @60Hz resolution and audio pass-thru for 7.1, 5.1 and stereo channels to your 4K display. This cable features durable gold-plated connectors for improving data transmission. The cable itself is made of the bare copper conductor and shielded with foil and braid for reducing electromagnetic interference. This DisplayPort cable has four length options including 3 feet, 6 feet, 10 feet, and 15 feet. Next mini DisplayPort to DisplayPort cable from Monoprice is also recommended by Microsoft Surface team. It does work very well with your Surface devices and Docking station. This cable allows your Surface Dock to connect to two 4K display @30Hz without any problems. This DisplayPort cable features the version of DisplayPort 1.2a which supporting data speed up to 21.6Gbps. This cable also backward compatible with DisplayPort 1.1 and 1.1a as well. StarTech is a well-known company in the cable and adapter making. This StarTech.com mini DisplayPort to DisplayPort features DisplayPort 1.2 that support High Bit Rate 2 (BBR2) bandwidth of up to 21.6 Gbps. With the DisplayPort 1.2 specification, this cable allows your Surface devices to connect to 4K (3840×2160) resolution. While it also backward compatible with DisplayPort 1.1 as well. In addition to HDCP, it also supports the DPCP (DisplayPort Content Protection) standard. The cable also supports Multi-Stream (MST) for daisy chaining multiple monitors and provides optional audio support. Those are the best mini DisplayPort to DisplayPort cable that works perfectly with your Microsoft Surface devices and docking station. With any of those cables will bring you the full 4K resolution of your display. They will allow your Surface Dock to connect to two additional displays without any problems. Please kindly share with us any problems you experienced with our recommended cables in the comments section below. We appreciate hearing your thoughts, questions, and ideas about “Best Mini DisplayPort to DisplayPort Cable for Microsoft Surface in 2019”. Please post respectful comments and on topic. We will be replying back to you as soon as possible. Share your idea about "Best Mini DisplayPort to DisplayPort Cable for Microsoft Surface in 2019". I think Surface 3 and Surface Pro 3/4 has the same frame’s angle. So, the connector doesn’t need to be angled to proper connect to your Surface 3 as it works well on my Surface Pro 4. I purchased one of the Cable Matters. Audio does not work and I get a constant message on the monitor saying to use the supplied cable.